Acoustic Guitar, Bass Guitar, Drums, Other Percussion, Trumpet, Saxophone, Keyboard, Piano, Trombone, Bagpipes, Steel guitar, Upright bass, Ukulele, Clarinet. 1. Por Un Sueno (Coeur endormi)About Sabes Sabes it’s a trip to the south, a dance that pivotes on syncopated rhythms and catchy melodies. Exploring themes such as universality, love and hope, De la Luna describes his path as a new wave Canadian. Cristian brings to light the adventurer who carries the cultural richness of his country but has deepened new roots here in Canada. On the musical side, we hear a great fusion between Afro-Caribbean (cumbia, socca-calypso, bossa) and Funk and Pop. Some of the tracks, just as the title song Sabes, are rhythmic and dancing. Others, for instance Corazonsito mio, emphasizes on the rich and neat arrangements, with brass and strings. Still others, such as Mira fue, vibrate on the poetic lyrics and exuberant melodies. 11. Coeur endormi (Por Un Sueño)About Sabes Sabes it’s a trip to the south, a dance that pivotes on syncopated rhythms and catchy melodies. Exploring themes such as universality, love and hope, De la Luna describes his path as a new wave Canadian. Cristian brings to light the adventurer who carries the cultural richness of his country but has deepened new roots here in Canada. On the musical side, we hear a great fusion between Afro-Caribbean (cumbia, socca-calypso, bossa) and Funk and Pop. Some of the tracks, just as the title song Sabes, are rhythmic and dancing. Others, for instance Corazonsito mio, emphasizes on the rich and neat arrangements, with brass and strings. Still others, such as Mira fue, vibrate on the poetic lyrics and exuberant melodies. 07 - Tu Y YoSabes it’s a trip to the south, a dance that pivotes on syncopated rhythms and catchy melodies. Exploring themes such as universality, love and hope, De la Luna describes his path as a new wave Canadian. Cristian brings to light the adventurer who carries the cultural richness of his country but has deepened new roots here in Canada. On the musical side, we hear a great fusion between Afro-Caribbean (cumbia, socca-calypso, bossa) and Funk and Pop. Some of the tracks, just as the title song Sabes, are rhythmic and dancing. Others, for instance Corazonsito mio, emphasizes on the rich and neat arrangements, with brass and strings. Still others, such as Mira fue, vibrate on the poetic lyrics and exuberant melodies. 03 - El CaminoSabes it’s a trip to the south, a dance that pivotes on syncopated rhythms and catchy melodies. Exploring themes such as universality, love and hope, De la Luna describes his path as a new wave Canadian. Cristian brings to light the adventurer who carries the cultural richness of his country but has deepened new roots here in Canada. On the musical side, we hear a great fusion between Afro-Caribbean (cumbia, socca-calypso, bossa) and Funk and Pop. 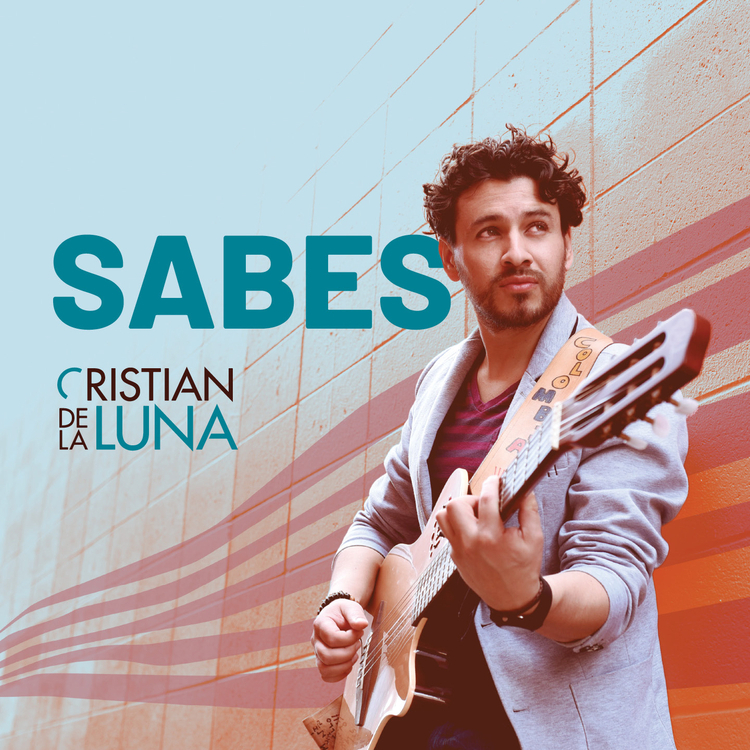 Some of the tracks, just as the title song Sabes, are rhythmic and dancing. Others, for instance Corazonsito mio, emphasizes on the rich and neat arrangements, with brass and strings. Still others, such as Mira fue, vibrate on the poetic lyrics and exuberant melodies. Mira Se FueLa música hay que dejarla atravesar los rincones incoloros de nuestros sentidos, apretujando las emociones al punto tal de desmantelar la tristeza. Dejarla vibrar en las instancias recónditas de nuestro universo. SabesSabes it’s a trip to the south, a dance that pivotes on syncopated rhythms and catchy melodies. Exploring themes such as universality, love and hope, De la Luna describes his path as a new wave Canadian. Cristian brings to light the adventurer who carries the cultural richness of his country but has deepened new roots here in Canada. On the musical side, we hear a great fusion between Afro-Caribbean (cumbia, socca-calypso, bossa) and Funk and Pop. Some of the tracks, just as the title song Sabes, are rhythmic and dancing. Others, for instance Corazonsito mio, emphasizes on the rich and neat arrangements, with brass and strings. Still others, such as Mira fue, vibrate on the poetic lyrics and exuberant melodies.